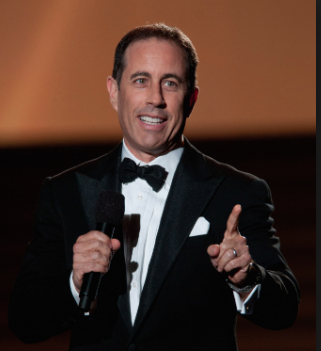 Jerry Seinfeld is one of the most successful standup comedians of all time. If you have a fear of public speaking OR want to be a better public speaker – Seinfeld knows the key. Seinfeld parlayed his ability to find hilarity in the seemingly mundane and trivial occurrences of everyday life into a wildly popular sitcom that ran for nine seasons. In recent years, he’s created and hosted the successful web series Comedians in Cars Getting Coffee, and has since made a triumphant return to the standup scene. How has Seinfeld managed to stay relevant for decades? If you’re doing it for them, you’ll be fine. If you’re doing it for you, that could be problematic at a certain point–because they’ll know it. They’ll feel it. And they won’t like it. It is not about you. It’s all about them. Think about your favorite boss, your closest colleagues, the best salesperson you ever met. What quality did they have in common? I bet it’s their ability to put others’ interests ahead of their own. On the surface, this may not make sense. How can someone succeed if they are always focused on the problems of others? But that’s exactly why this works. No man is an island. The whole purpose of work is to provide value to others–and that’s true whether you’re a standup comedian or a barista at Starbucks. The more value you provide, the more others will value you. because you avoid speaking over your audience or boring them to death, and instead tailor your words to them, keeping them engaged. because you find the balance between giving readers needed information without overwhelming them with unnecessary details. As Seinfeld says, people can feel when you’re out for yourself. It pushes others away. But, in contrast, they can also sense when you’re striving to put their interests first–and that leaves them with a good feeling. This results in their being more responsive and willing to help when you’re in need.